All images, particularly photographic ones, require an explanation, a reflection on their origin and the social function they have had throughout their existence. 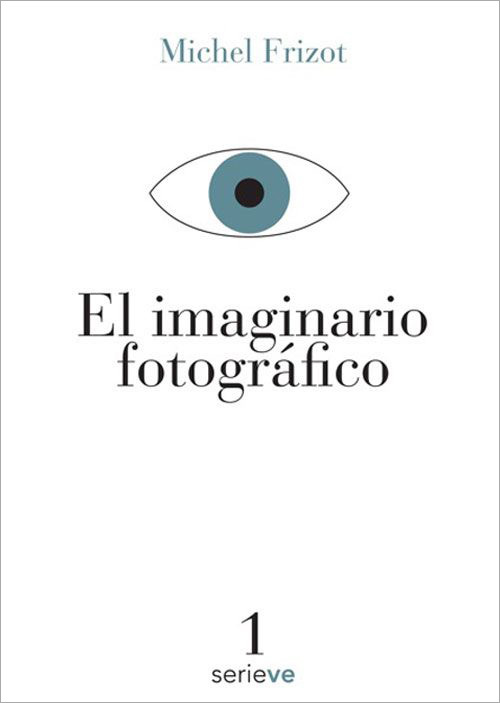 The Photographic Imaginary is a collection of essays and photographs by one of best known specialists in the theory and history of images of our times. It refers extensively to the mystery of photography as a procedure, technique and representation. The author of this series of essays is French researcher Michel Frizot, who moved from the study of physics to art history and since the 1970s has devoted himself to the history and criticism of photography. This superbly produced book contains the first ever translation into Spanish of a collection of his essays written between 1994 and 2006. Its main purpose is to "demonstrate the intrinsic coherence of a theory of the photographic regime, conceived of as a fundamental break away from image making in the mid-19th century. Indeed, the French photographer, who was in Mexico City in September to present this work, has devised novel categories and concepts for the methodology of the history of photography, such as "technofacture," the "photographic regime" or the "photostat" as part of his theory for dealing fully with the reflection on what he calls: “photology,” in other words, the discourse or "logos" of photography. On the basis of these ideas, Frizot constructs a story in which he transmits his vision of photography through the photographic device, in other words, the photosensitive surface that makes it possible to create an image, compared with previous techniques such as drawing, engraving and lithographs. This is precisely why it is called “technofacture,” since its production involves technical elements, not just human skill. The existence of this area constitutes an essential condition of photography, even more so than the camera itself. Thus, the photographic event is conceived of as a physical event, since it constitutes a disruptive technique that is not the anthropofacture or manufacture of previous techniques, ranging from drawings in pre-historic caves to lithographs, oils, engravings and drawings. The raw material or matrix of any photograph is the photosensitive surface, from the copper plate support for Daguerreotypes through paper and negatives to the liquid crystal screens of 21st century cameras and monitors. What name should we give the photographic imprint implied by the negative, that single shot or recently, digital printing? Frizot calls it “photostat” in other words, the matrix comprising all these photographic processes, which includes the photographic images summarizing the physical phenomenon of the quantification of light. In The Photographic Imaginary, Frizot proves that the photographic regime has not yet found a satisfactory response to the method for dealing with the history of photography, even though we now have new clues to continue dismembering and fathoming the incomplete mystery of photography.